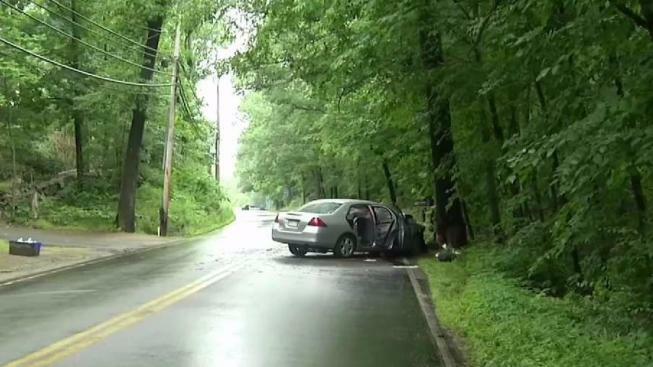 Police say a woman will be charged after she crashed into a tree in Boxford, Massachusetts, injuring herself and her two young children. 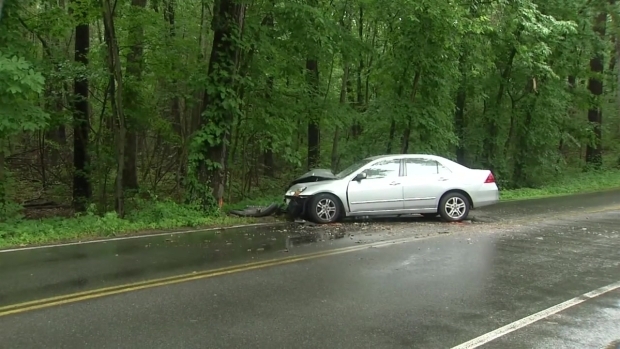 Criminal charges are pending against a woman who was injured along with her two young children when she crashed into a tree Monday morning. Emergency crews responded around 11 a.m. to a serious car accident on Route 97 in Boxford, Massachusetts. The driver and her children were badly injured. Police say she never hit the brakes. "Straight into a tree," said Boxford Police Chief James Riter. "No skid marks, no sign the operator attempted to do anything to correct going off the roadway." A serious car crash in Boxford, Massachusetts, sent an adult and two children to an area hospital Monday morning. Riter was first on the scene and administered aid to the victims. The children, a 7-year-old boy and a 2-year-old girl, were in the back seat. The boy was flown to a Boston hospital for treatment for serious injuries. Bob Cosgrove, who lives just yards away from the scene, says his family members heard the crash, looked outside and saw the driver. "My kids saw her get out of the car and saw she was very disoriented," said Cosgrove. The accident happened on Route 97 Monday just before 11 a.m.
Police won't say why charges are pending, but they expect to have an announcement Tuesday morning.